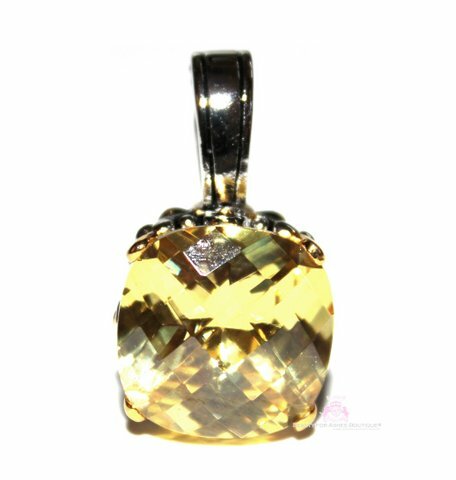 This beautiful Throne Room Pendant is a 15mm cubic zirconia faceted to reveal many glimmering sides to this canary yellow cz. 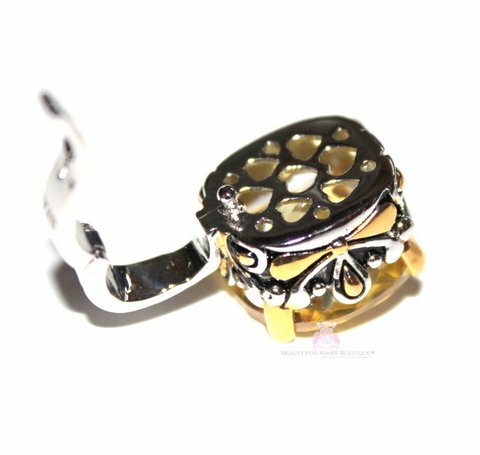 The back of the bale opens to put on your favorite chain or circle necklace. The sides are two tone plated for an ornate look.